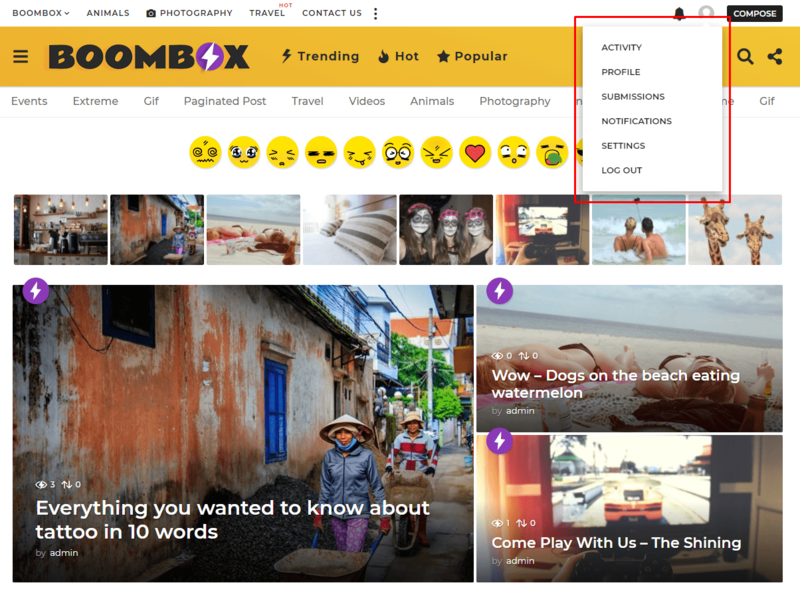 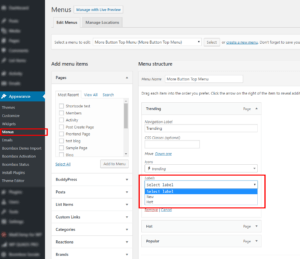 Please go to WP admin ▸ Appearance ▸ Menus choose the menu for which item you want to add icon and from Labels drop-down list choose your favorite icon. 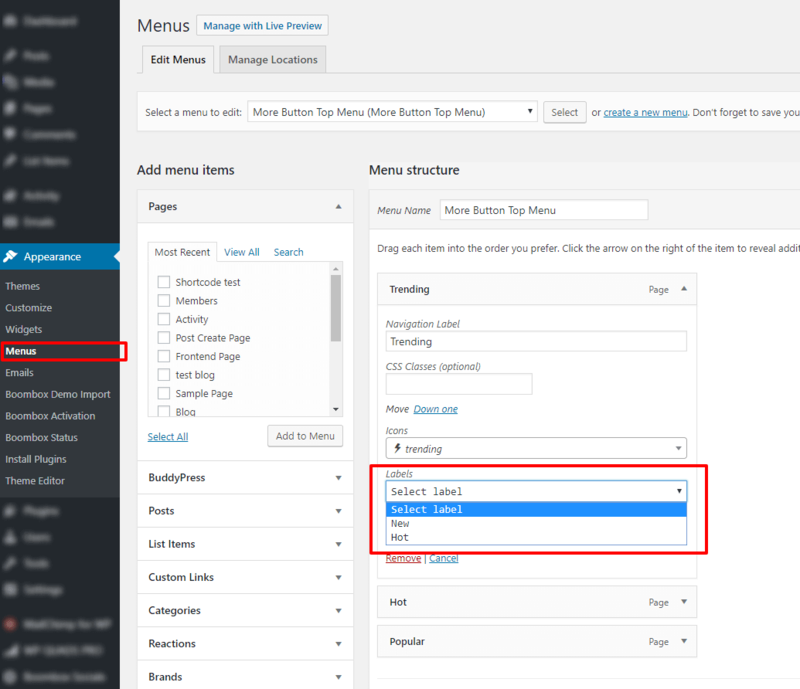 Please go to WP admin ▸ Appearance ▸ Menus choose the menu for which item you want to add icon and from Icons drop-down list choose your favorite icon. 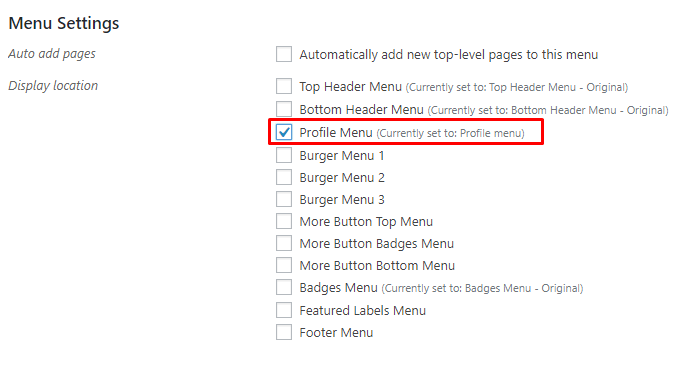 In case if you’ll need to add custom icons, please read this article. 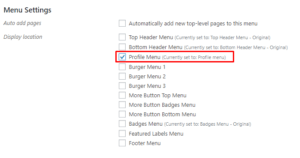 # How to add Log Out or other profile menu elements? 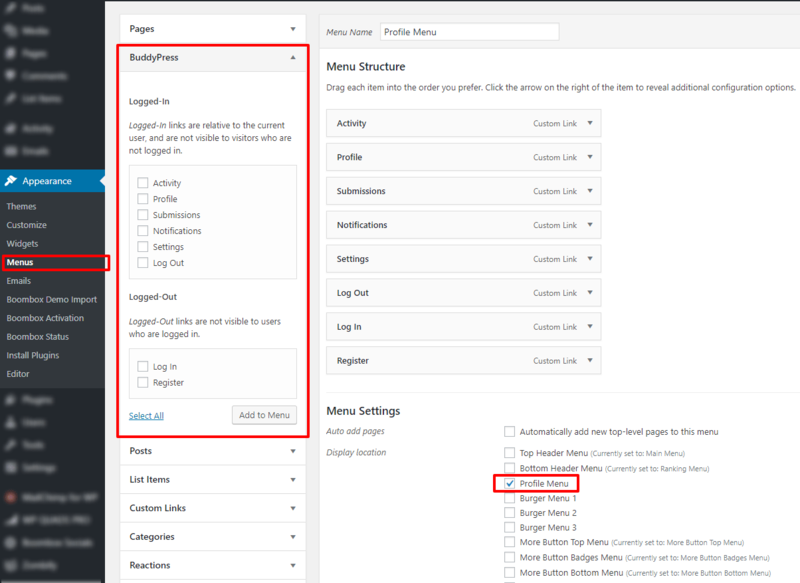 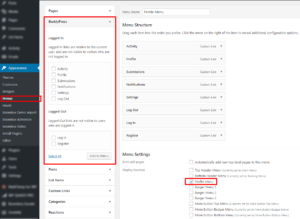 As this feature comes from BuddyPress you can read more about the plugin here.